On the day of Barack Obama's inauguration, an enigmatic billionaire from Bombay takes up residence in a cloistered community in New York's Greenwich Village. Along with his improbable name, untraceable accent and unmistakable air of danger, Nero Golden has brought along his three adult sons: agoraphobic, alcoholic Petya; Apu, the flamboyant artist; and D, who harbours an explosive secret even from himself. The story of the powerful Golden family is told from the point of view of their neighbour and confidant, René, an aspiring filmmaker who finds in the Goldens the perfect subject. 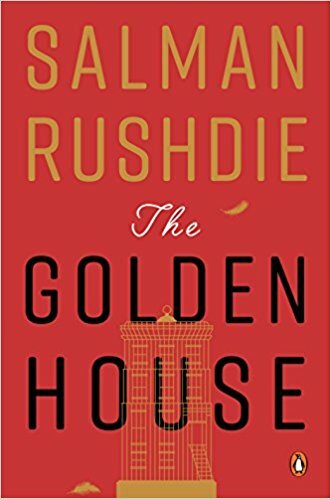 René chronicles the undoing of the house of Golden: the high life of money, of art and fashion, a sibling quarrel, an unexpected metamorphosis, the arrival of a beautiful woman, betrayal and murder and far away, in India, the unravelling of an insidious plot. 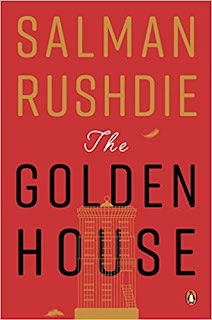 Copiously detailed, sumptuously inventive, brimming with all the razzle-dazzle that imbues his fiction with the lush ambience of a fable, The Golden House is about where we were before 26/11, where we are today and how we got here. The result is a modern epic of love and terrorism, loss and reinvention-a powerful, timely story told with the daring and panache that make Salman Rushdie a force of light in our dark new age. Jaguar Smile, Imaginary Homelands: Essays and Criticism 1981-1991 and Step Across This Line. Rushdie has also co-edited two anthologies, Mirrorwork and Best American Short Stories 2008. His books have been translated into over forty languages. He is a former president of American PEN.